Welcome to the Warframe Tracker open alpha!  Stay tuned while we create the new Warframe tracking experience! Feel free to report any problems or suggest new features on our Discord. We don't run any ads, so that Warframe Tracker can be fast for everyone! That means that we completely depend on direct contributions from our users. Please consider donating to the site directly and support our creations, we would greatly appreciate it!